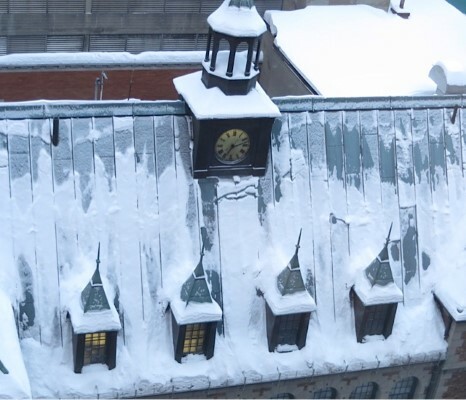 Quebec City on the shores of the St. Lawrence, is magical in wintertime! 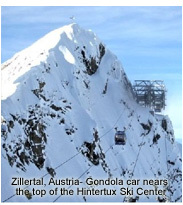 The diversification of winter sports and activities rivals any other city in North America for winter sports. 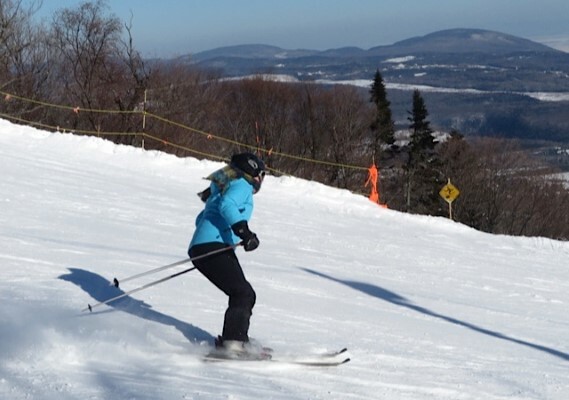 The city holds a renown Winter Carnival during February. 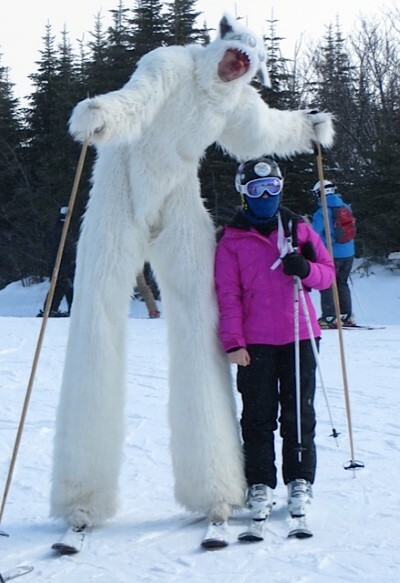 Actives range from Ice Castles and sculptures to winter carnival parades in the evening. The city, especially Old Quebec is aglow with colorful lights and decorations on its buildings. 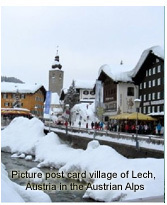 Citizens and families walk the quaint narrow streets enjoying the different venues of the winter carnival. 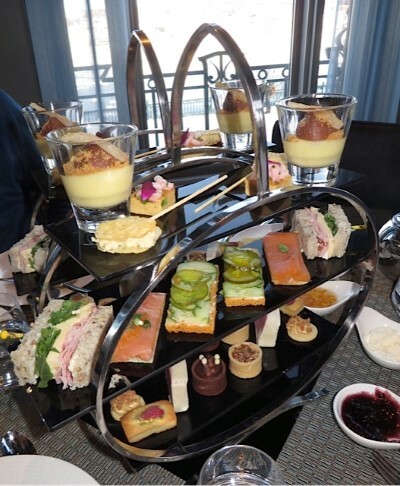 A Snow Queen’s Ball exhibit party goers in glamorous gowns and elegant tuxedos for this memorable and sophisticated evening which takes place in the ballroom of the famed Fairmont Château Frontenac. 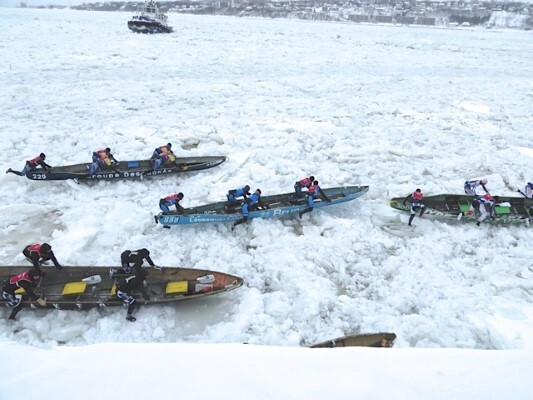 The Canoe Race across the frozen St Lawrence River and back, where racers haul their large 5 man canoes across the ice until they find open water and paddle across the St Lawrence and back. 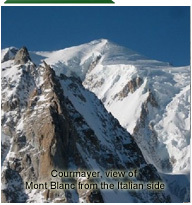 Some racers fall thru the ice, pull themselves out and continue their adventure. 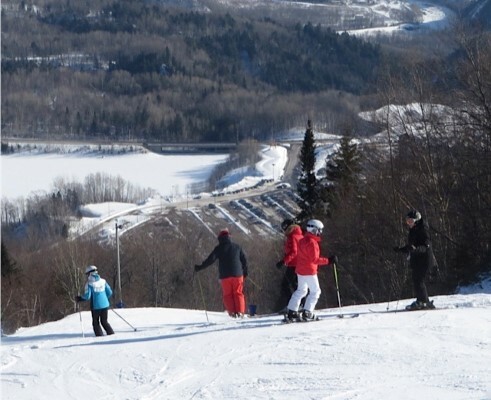 The region offers a wonderful selection of snowmobile trails, X-country and alpine ski areas with the unique backdrop of the St. Lawrence River. 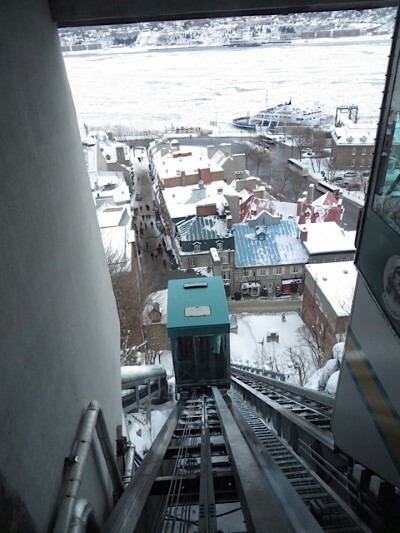 A three track toboggan slide is located beside the Chateau Frontenac and overlooks the river. 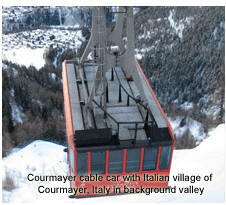 Couples and families team up to ride down this specially designed track on rental toboggans. 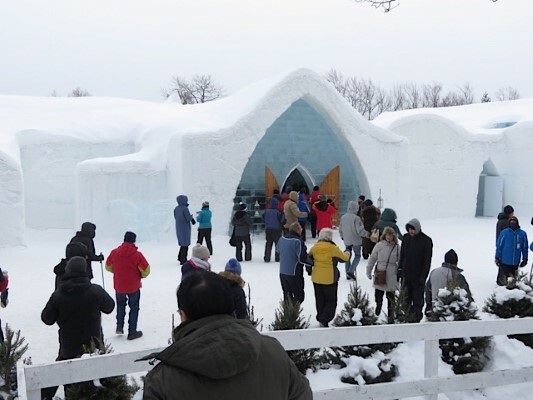 The Ice Hotel, located just 15 minutes from downtown Quebec City draws guests from around the world to experience a night of sleeping on a frozen block of ice in a private ice carved bedroom. 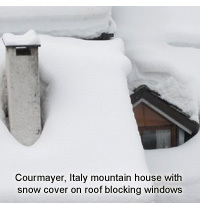 The hotel is opened during the daytime for tourists to visit, tour the hotel and enjoy drinks from a ice bar. Drinks are served in a oversize ice cube with a hole carved out of the center. Quebec City is entertaining for the young and old. Day or night, it’s well worth the trip. 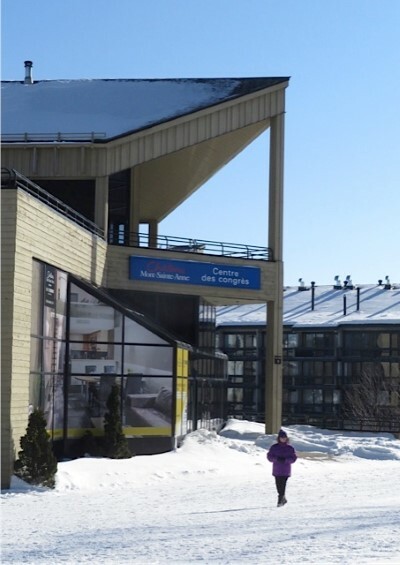 Guests can easily arrive by car from interstate highways, passenger trains or by plane at the Quebec International Airport. It’s a magical way to spend a holiday vacation! 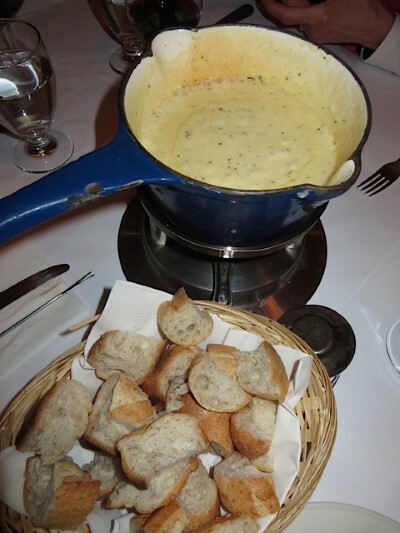 During the dead of winter, Quebec City excels! 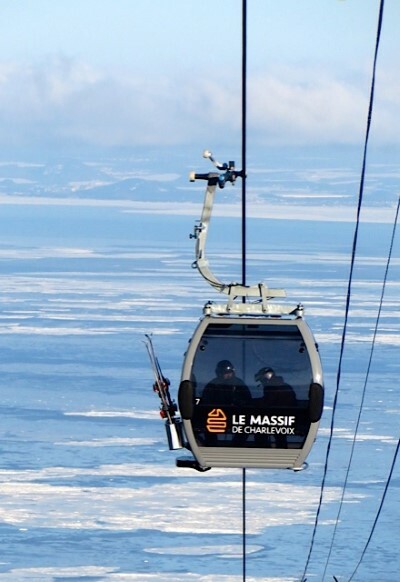 LeMassif Ski Resort Gondola carries skies towards the summit with the frozen St Lawrence River setting the backdrop. The river is 7 miles wide at LeMassif to the south shore in background. 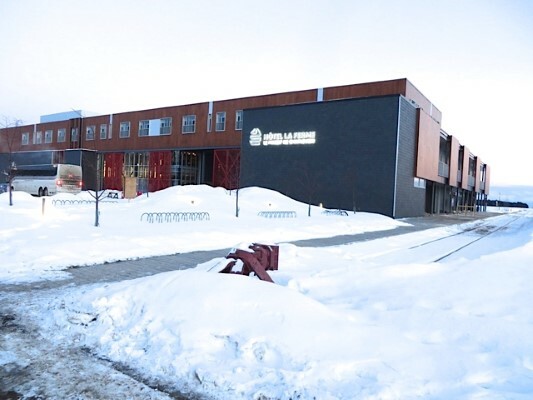 Hotel LaFerme with a railroad siding at hotel in Baie St Paul, Quebec for arriving passenger trains. Baie St Paul is about a 1 1/2 hr drive north of Quebec City. 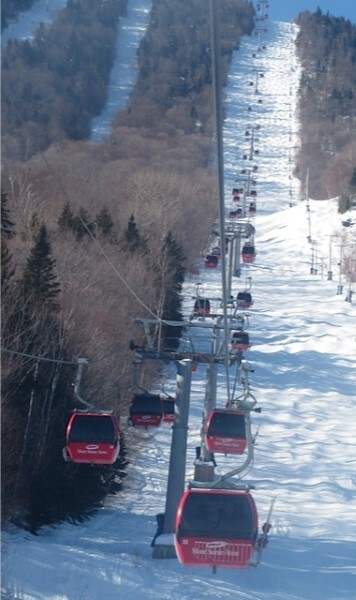 Mont-St_Anne Gondola carrying skiers to the summit. 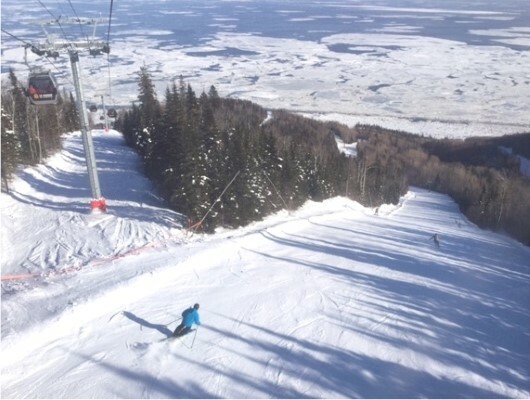 A skier enjoys the ideal conditions during a day at Mont-St-Anne, 30 minute drive north of Quebec City. 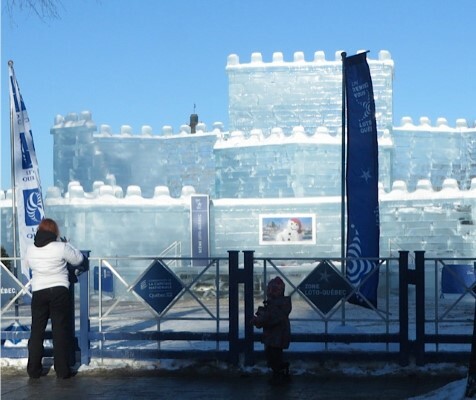 Ice Castle in Quebec City, all part of the winter carnival. 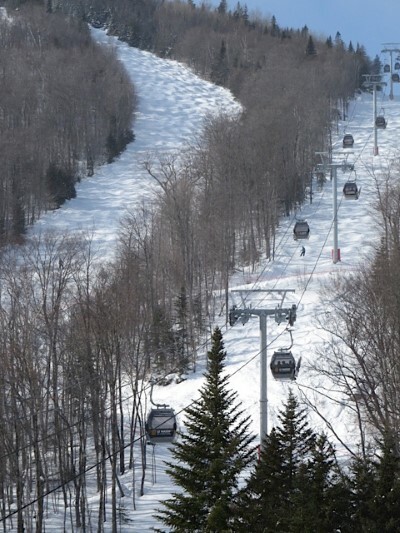 LeMassif Ski Resort Gondola with trails descending to the shoreline of the St Lawrence River. 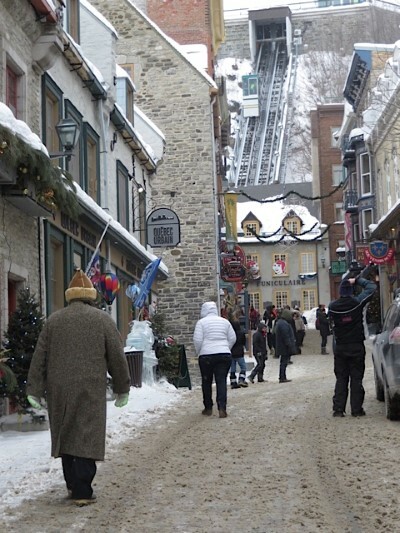 The Funicular descends to Old Quebec City. 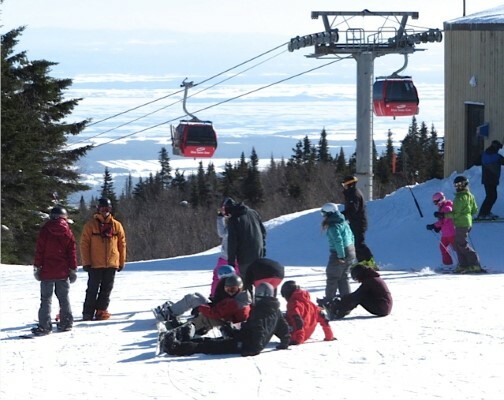 Skiers enjoy one of the several grand trails at LeMassif that descend down to the frozen St Lawrence.